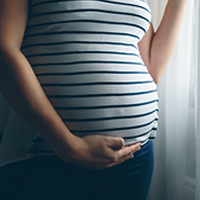 WHAT WE KNOW: If you use marijuana in any form during pregnancy, the exposure to its active ingredient, THC, may put your baby’s health at risk. Smoking or secondhand smoke, vaping, eating, or drinking cannabis will cause the THC to reach your baby through your placenta or your breastmilk. Current information indicates that marijuana during pregnancy may have negative effects on birth weight, fetal growth, delivery of nutrients, brain development and other health problems. WHAT WE'RE WATCHING: Because of the potential of THC to slow fetal growth and affect brain development, it will be important to monitor trends and studies on marijuana use during all prenatal phases. Is it true that cannabis is helpful for morning sickness? WHAT WE KNOW: There is no evidence that marijuana helps morning sickness and no research that it is a safe practice. And, as noted above, it could put your baby at risk. If you are pregnant and using cannabis for nausea, you should ask your health care provider for an alternative that is known to be safe. WHAT WE'RE WATCHING: In a recent phone survey in Colorado, almost 70% of dispensaries suggested cannabis for first trimester nausea. However, few recommended the important discussion with a health care provider. Expanding legalization will increase relevant research but until then, use of marijuana during any trimester of pregnancy is discouraged. Is it okay to use marijuana when breastfeeding? WHAT WE KNOW: The effects of marijuana during breastfeeding are still being studied. It is known that marijuana passes from breastmilk to nursing infants. And, with regular use, THC can become concentrated in breastmilk. The potential impacts on the baby are poor feeding, slow weight gain, sedation, and possible effects on brain growth. Due to evolving information, marijuana use during breastfeeding is discouraged. WHAT WE'RE WATCHING: The Academy of Breastfeeding Medicine develops guidelines for breastfeeding health and success, and is considered the gold standard institution for research. At this time, as new research is tracked and analyzed, they recommend against all drugs that are not medically necessary. The American College of Obstetricians and Gynecologists recommend that women who are pregnant or may become pregnant should be encouraged to not use cannabis.